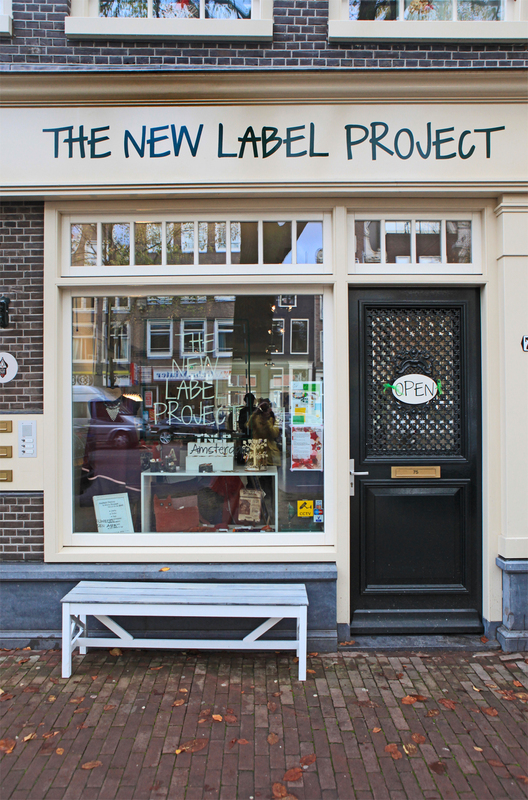 The New Label Project store at 75 Rozengracht, Amsterdam. 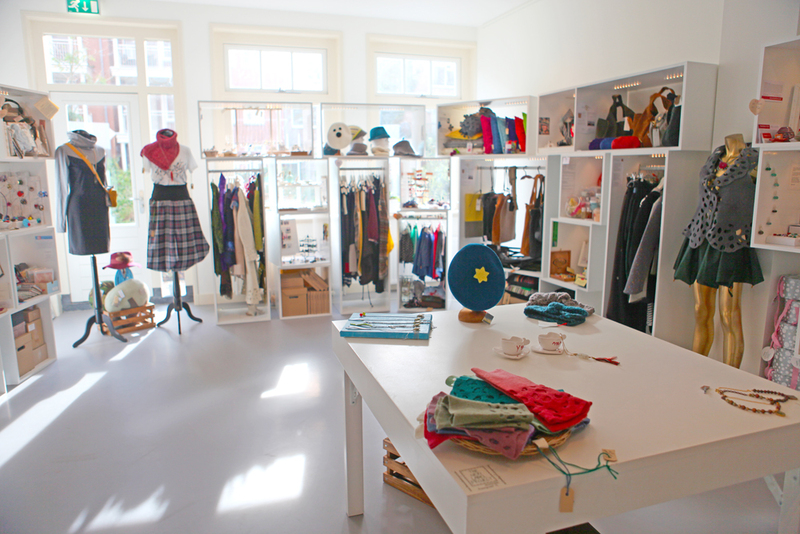 A view of the spacious store. After an amazing appointment on Tuesday morning (a visit to the home and studio of Leslie Oschmann from Swarm Home! ), I had some time to meander, walking along the Rozengracht street. This shop prompting me to cross the street. The New Label Project is a unique concept in that it presents the work from emerging artisans. Each booth is a selection from an individual artist or maker... quite like browsing through Etsy in person! By having each artist's work within the white box, it helps to frame and focus work that would otherwise perhaps be too eclectic to have side-by-side. Just as I was finishing up taking photos of the space, Anna Treurniet stopped by to freshen up her display booth. Anna recognized me from Hello Etsy—she had attended in Eindhoven! Below are Anna's collars, cuffs and key chains, available in the store as well as in her Etsy shop and website. Some jewellery that I quite liked was by An Stevens, below.